This launch was made by us with the help of AMRAD in 19 of July at 14.00 GMT, to test our new tracker designed by us. The Balua THREE launch coordinates were: 38°34’28″N 007°54’19″W. It was broadcasting APRS (144.800MHz) with callsign CR6BA and it was also carrying a crossband repeater with uplink 145.950MHz, tone 123Hz, downlink 435.950MHz and 1W of power. No images were taken in this launch because of weight constraints. Despite of the fact that the new tracker weighs less than a quarter of the previous one, the crossband repeater is very heavy. Also the objective was just to test equipment. Test the new PCB that will be our Al-in-One Tracker!!! 2x AA Lithium Energizer batteries. The main flight computer was a custom PCB with an ATmega328 running the arduino bootloader. Also on-board is a 5V step up voltage regulators that powers a Radiometrix HX1 (VHF transmitter, hard-tuned to 144.8 MHz which outputs 300mW (draining 120mA at full RF). There is also a and 3.3V step up voltage regulators that powers everything else. The flight computer receives data from the uBlox GPS and the pressure sensor. The temperature sensor and rfm22b were not used in this flight. All data can be stored on an on-board microSD card but that was not implemented in this launch since what we really wanted to test were communications. All systems are powered by just 2x AA Lithium Energizer batteries. Lastly, a chemical heater was embedded within the payload casing. As a backup system we have a SPOT satellite GPS Messenger. This equipment is placed in a special casing that allows it to rotate and always face north. We also have a beacon that gives a beep in UHF every second (a type of beacon used often in animal tracking). This beacon is used by us in conjugation with a yagi antenna to track the balloon when we are close by (it was important in Barcelos). For this flight, we planned to launch the balloon in a location where the wind would take it away from the ocean, therefore we went to location close to the balua two launch. Prior to the launch we soldered all the components in our new PCB that we had recently received from hackvana and started working out the hardware bugs (there were some, which were corrected in the V2 version). After that we starting coding everything in. Mostly APRS communication and the GPS. We wanted to really test this out since those were the components more problematic. We left out the temperature and the uSD logging. In parallel we also prepared a case for the crossband repeater which was also something that we really wanted to test. We left IST early and went straight to have lunch with the AMRAD members. It was a great moment spent with them but we had to leave because our launch was scheduled and couldn’t be delayed. We traveled to the site and started laying everything down, filling the balloon, all the standard procedures that we already know like the back of our hands. The LARS guys were there filming and helping out, and soon enough the balloon was airborne. We sent the balloon a little bit empty because of the weird predicted travel. We went straight to Elvas and in there we waited for it to go to Spain and return. Meanwhile the crossband repeater was being a success making it possible for people from really far away to communicate clearly. Also we were able to continuously receive APRS packages, SPOT, and even the VHF beacon correctly. Everything was working as it was supposed to. 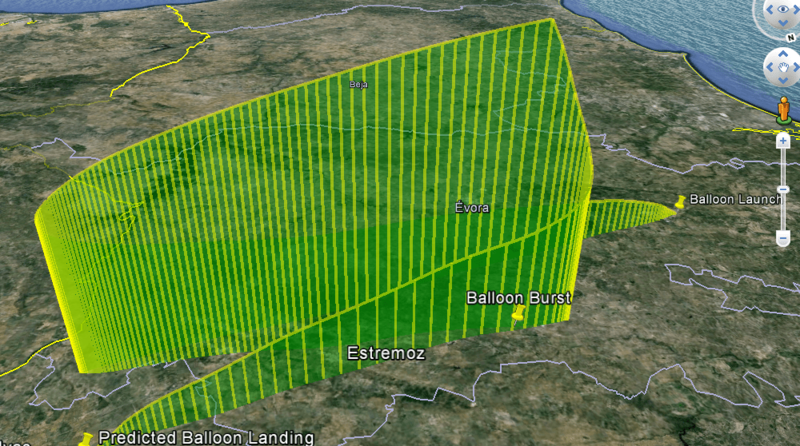 Late in the the balloon landed at about 600m from the border on the Spanish side, inside a hunting area. The owners of the place were amazing and allowed us to go there and grab our stuff since that placed was closed for hunting and therefore there was no danger in going there. Everything was retrieved successfully and our new tracker behaved like a champion!!! 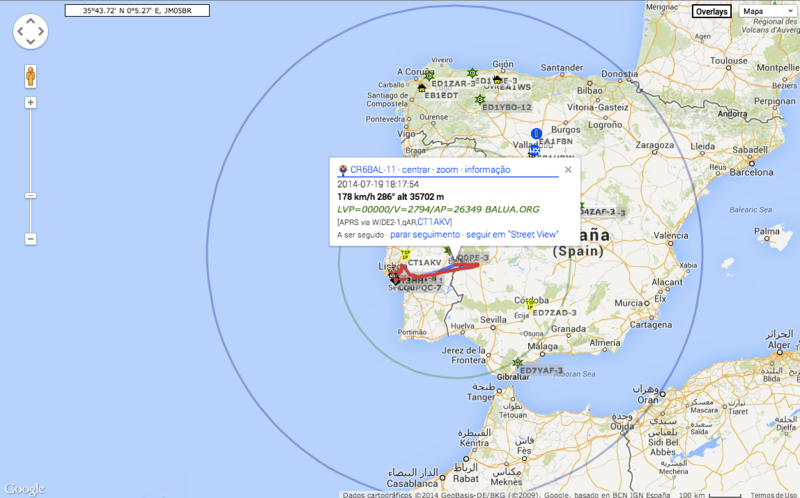 2º – The very experimental cross-band repeater almost reached the entire Iberian peninsula and was very busy with QSOs from Cascais(PT), Algarve (PT), Entroncamento (PT) to Cordoba (ES), Villacarrillo (ES), Gibraltar (ES). 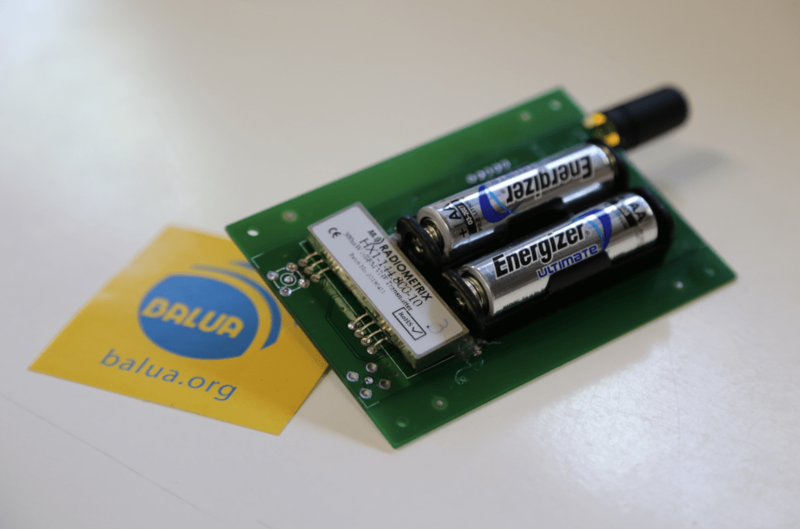 Balua’s CR6BAL repeater was definitely a huge success! Something to improve and build on! 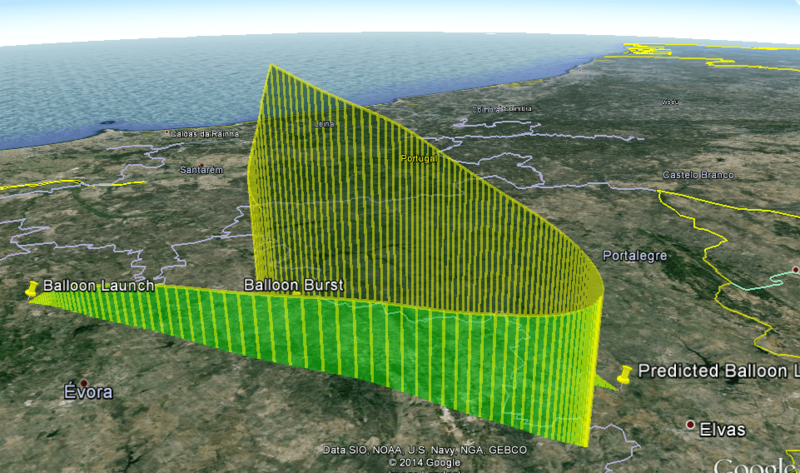 3º – Balua’s payload landed in Spain, few hundred meters from the Portuguese border, north of Badajoz (ES). The recovery was nice and easy with a helping hand from the land owners! 4º – Last but not least, this day was a better day thanks AMRAD (very busy as well hosting a great field day) and LARS. Thank you all! Pictures and/or movies can be found in the gallery section here. © 2019 Balua Project — All Rights Reserved.